Summer is here and I’m sighing over and over at the feeling of sunshine. 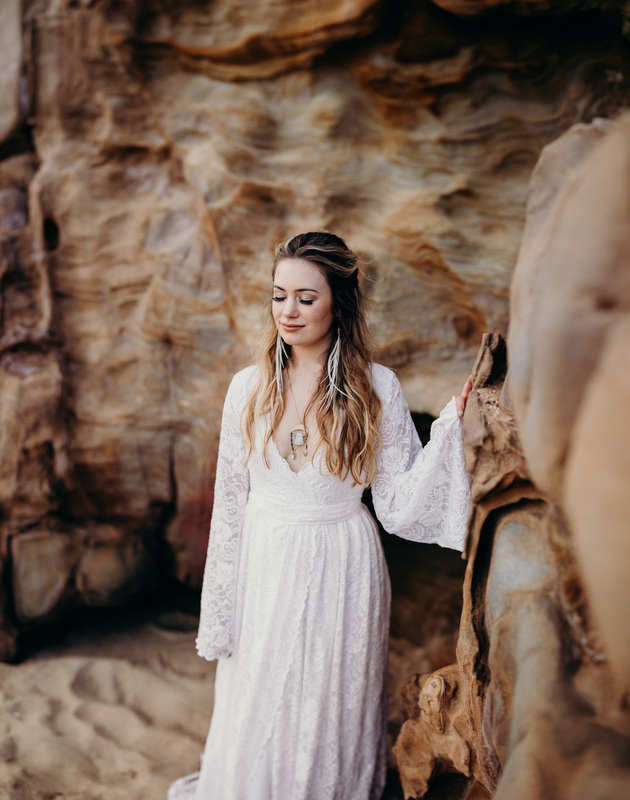 I collaborated with Madison of Beauty by M to put together this sunny, free-spirited styled bridal session at Panther Beach in Santa Cruz. I loved the 1970s style of the bell-sleeve gown, and wanted to play off that vintage aesthetic. The most important part of this look is ease of movement. If you wear a gown and hairstyle that can move with you and with the wind, then you’ll have nothing to worry about when you’re dancing or when you walk around a breezy beach. The feathers and natural stone in the jewelry emphasized that bohemian flair we were going for! Madison styled our model’s hair with loose waves in a braided half-up style. She applied luminous makeup that made her glow like moonlight! 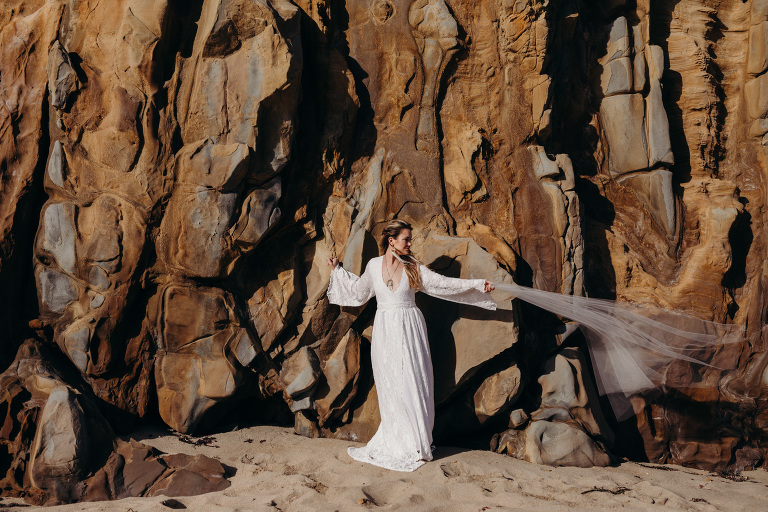 I love a good free-spirited aesthetic for brides. 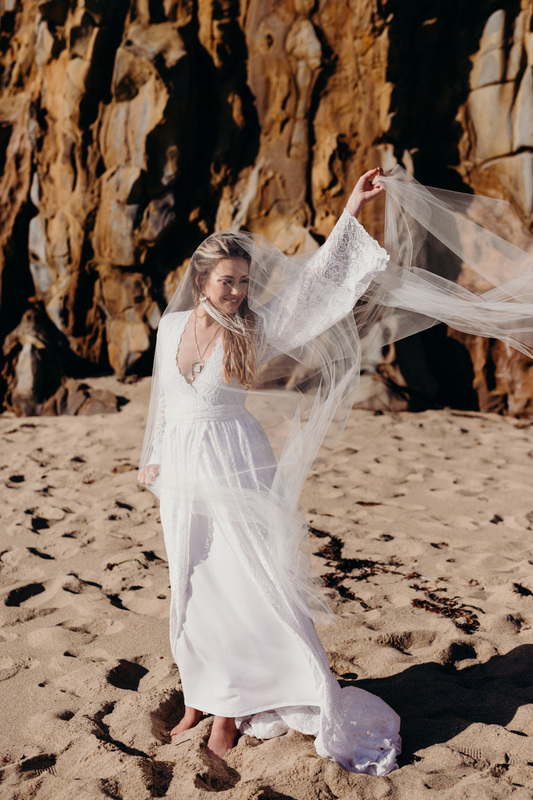 This flowy, beachy look is perfect for the bride who wants to run around and feel totally comfortable and laid-back in her dress on wedding day. Love this aesthetic? You may also love this boho camp themed wedding!